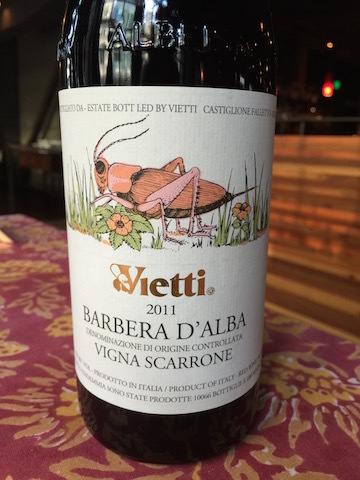 Vietti is one of my favorite producers from the northern Italian region of Piedmont. They have been making wine since the 1900’s. 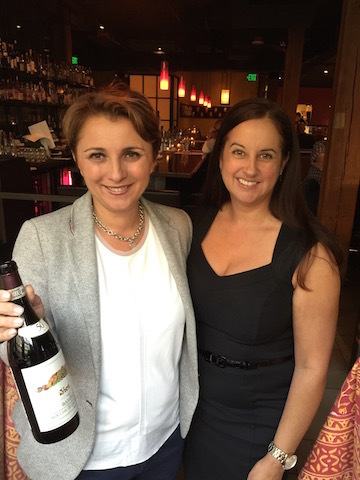 I was thrilled that on October 1st, 2015 Elena Penna Currado of Vietti paid a visit to Seattle to feature their latest releases at Cuoco. Cuoco is one of famed Seattle chef Tom Douglas restaurants. The bar shown above provides a wide selection of spirits. The interior is warm and inviting. It’s a great place to spend some time with friends. 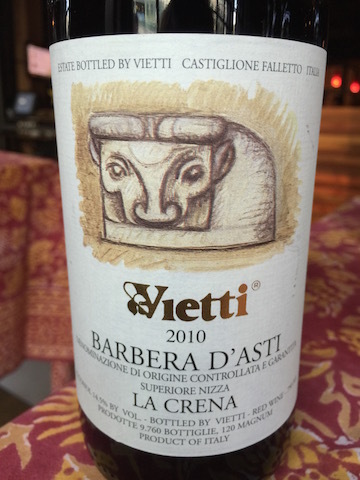 The evening started with 2014 Vietti Roero Arneis. Scents of flowers, citrus and melon presented on the nose. 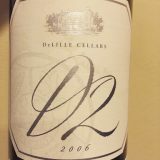 This unoaked, medium bodied, dry wine was very crisp and refreshing. It paired well with grissini, pickle braised rabbit trotters. 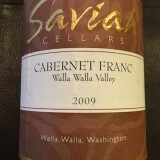 Aromas of black cherry and raspberry dominated the nose. 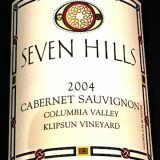 This unoaked, medium bodied red wine had soft tannins, moderate acidity and was very balanced. A platter of gnocchi fritto with fontina fonduta and carne crude with anchovy and egg was paired with the Dolcetto. Plates of La Quercia hot coppa and smoked guinea hen with roasted fig were to be paired with the next 2 wines. This wine is a fantastic example of a single vineyard Barbera. 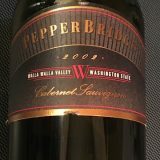 The intense nose consisted of ripe red cherries, black cherries, and vanilla. The tannins were round and like velvet. Although young, the wine was very easy to drink. 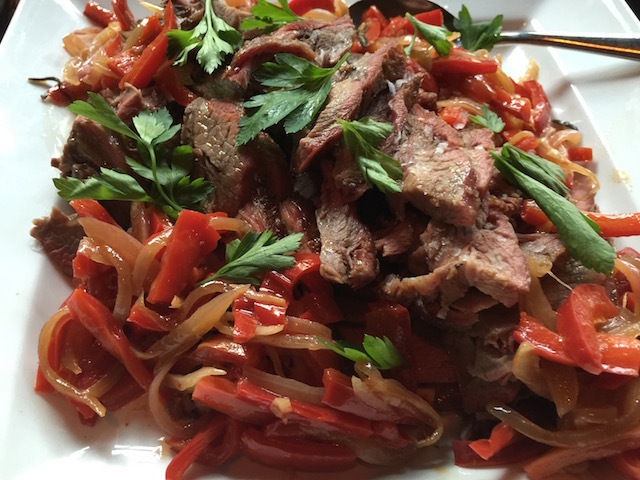 It’s a very rich, full bodied Barbera that would pair well with Pizza and stews. 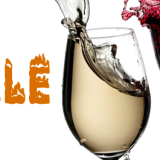 Scarrone 2011 delivers big value and flavor for the price point. 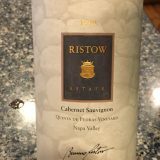 In fact I could see myself sipping a lot of this wine in the winter months ahead. La Crena is another single vineyard Barbera which comes from the Asti region. 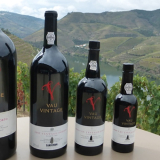 Red and black cherry aromas and flavors with a smattering of vanilla and toast make up La Crena’s profile. 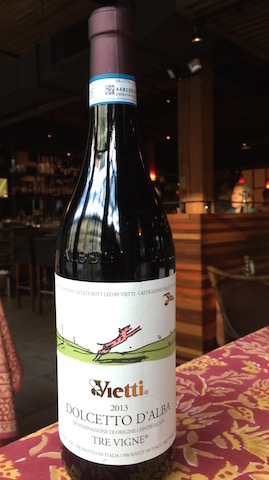 This wine spends 16 months aging in a combination of large Slovenian casks and French oak. It’s not filtered before bottling so this keeps the intensity of the flavors high. 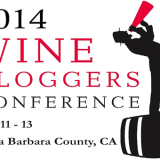 Finally it was time for the big wines to be tasted. 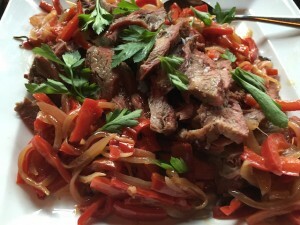 To pair with the Barolos a green egg roasted goat leg with peperonata was served. 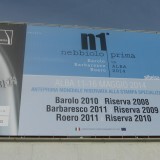 Ravera is a vineyard in Novello. All the fruit for this Barolo comes from Ravera. 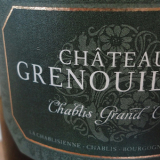 The heady aromas of roses, mint, spices, and blackberries are an absolute delight for the senses. 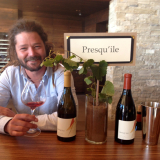 It’s a full bodied, intense wine that is beautifully balanced with a lengthy finish. 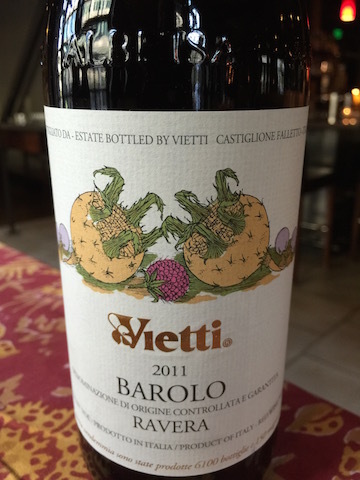 This is a very special bottle for the Vietti family. 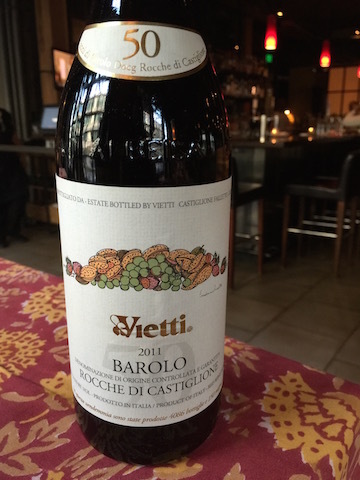 It represents the 50th year that they have been producing a single vineyard Barolo from Rocche di Castiglione. 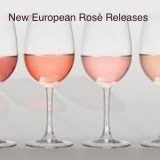 On the nose there are scents of roses, licorice, black cherry and plum. 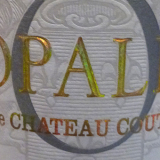 The palate is plush with big velvet tannins which are also very silky. It’s a very complex wine. This unfiltered wine displays finesse. 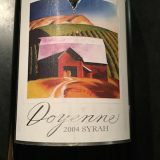 Although it was drinking quite nicely this evening it will require some time in the bottle to reach its full potential. In Europe one always finishes with a little cheese. 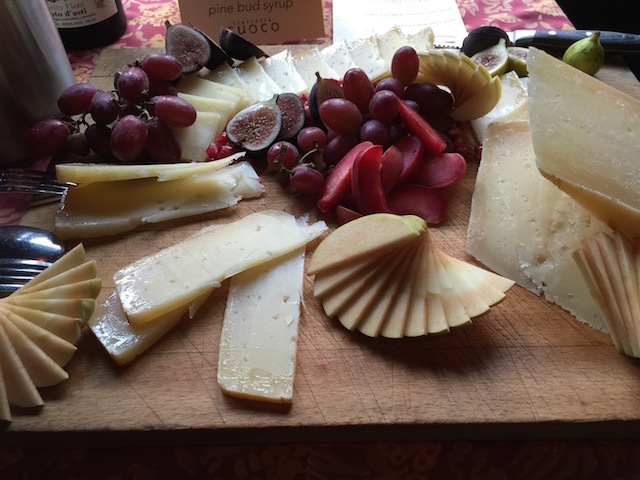 Italian cheese from Bra and was served alongside fresh sliced Washington apple, and pine bud syrup. It paired well with the final wine of the night. 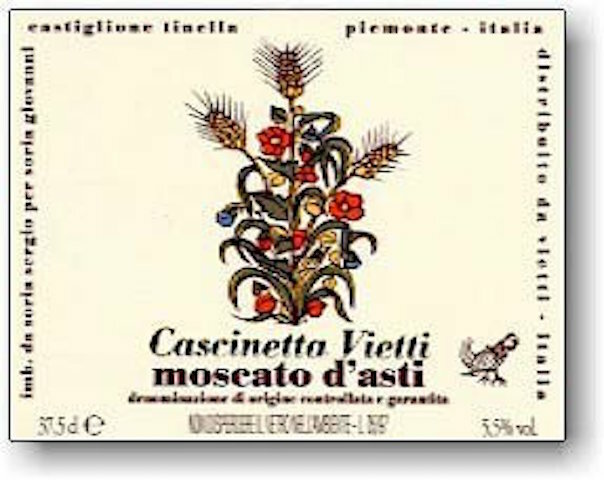 The 2014 Moscato d’Asti Cascinetta smelled of rose petals, and peaches. 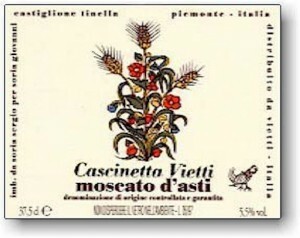 It’s delicate nature was a slight frizzante and tasted of white peaches and apricots. Elena Penna Currado did a fantastic job of presenting her family’s wines. It proves once again why I am so fond of Vietti. 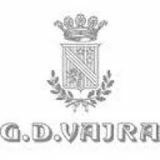 They are always a consistent producer that specializes in making quality wines representing a variety of DOC and DOCG wines. I’ll be sipping the red wines of Vietti as I enjoy the fall and winter season ahead.